These scrumptious Paleo Chocolate Chip Muffins are simple to make, and ready to devour in less than thirty minutes. 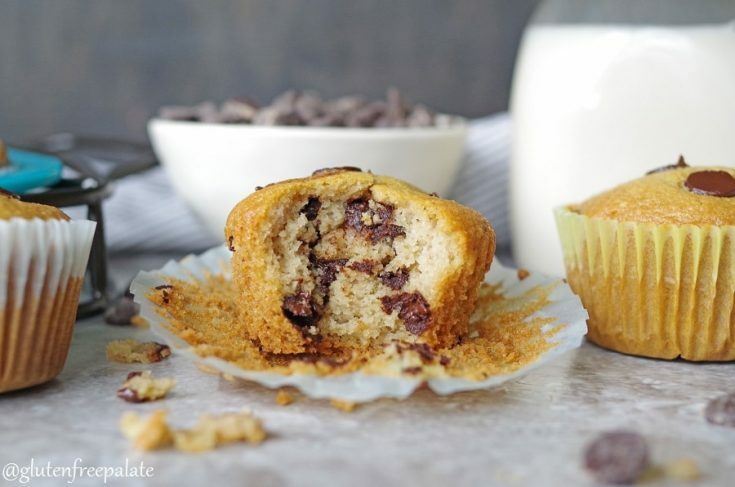 A fresh-baked, tender, chocolatey paleo muffin that’s healthy and satisfying. Are you looking for a simple, healthy paleo muffin recipe. One that you can whip up in less than five minutes in the morning? I love easy recipes, especially ones that I can throw together in a flash. With two little ones at home, and us having to get out of the house early each day, I usually bake up a batch of paleo muffins on Sunday night. Depending on what we did over the weekend, I don’t always get around to making a batch of paleo muffins. That’s when I turn to easy paleo muffin recipes. Almond flour muffin recipes with minimal cleanup, take only a few minutes to throw together, and can be done baking by the time I get out of the shower (I don’t take super long showers). I’ve been relying on Paleo chocolate chip muffins lately and have been switching them out for regular gluten-free muffins. So far my girls haven’t noticed. 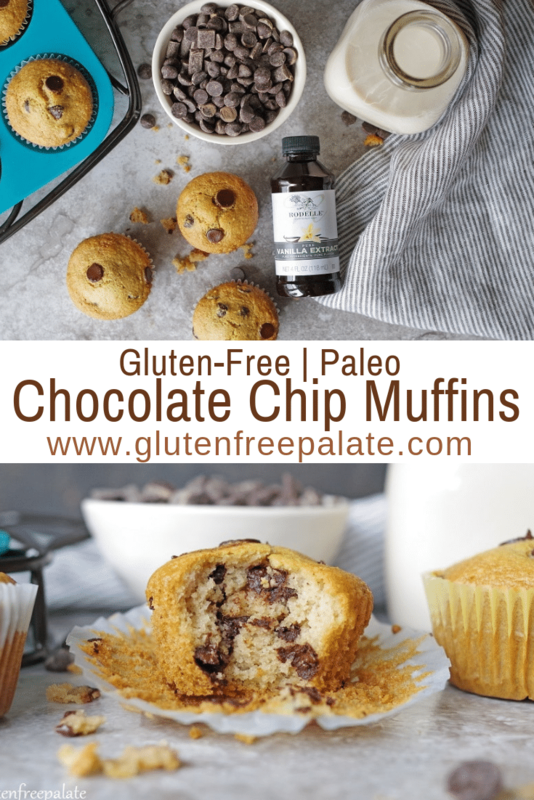 These Paleo Chocolate Chip muffins are a spin of my Gluten-Free Double Chocolate Muffins. While my kids love my Double Chocolate Muffins (who doesn’t love double chocolate? ), they’ve been asking for paleo chocolate chip muffins. These are basically almond flour muffins made with real ingredients. 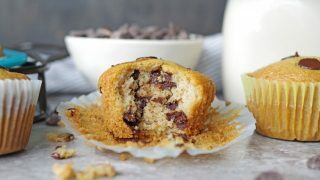 These scrumptious paleo muffins taste like traditional bakery style gluten-free muffins, but without the refined sugar. 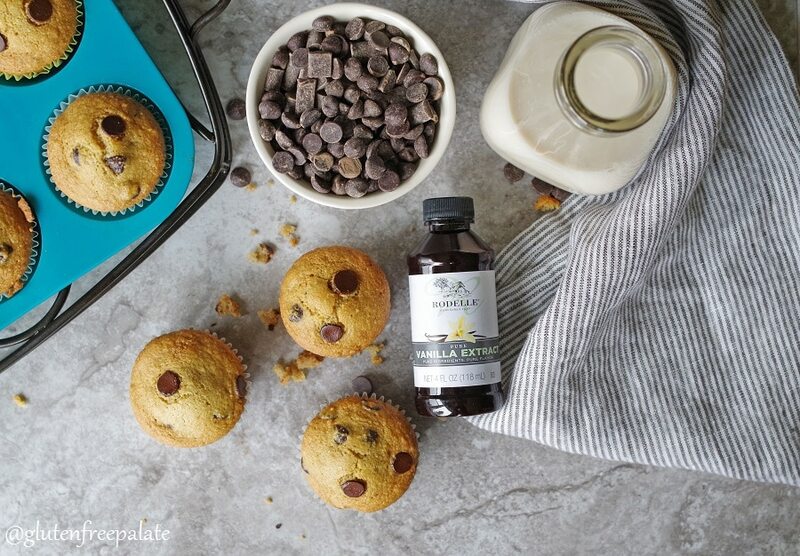 The Rodelle Vanilla Extract brings all the flavors together and lends a vanilla flavor like no other. 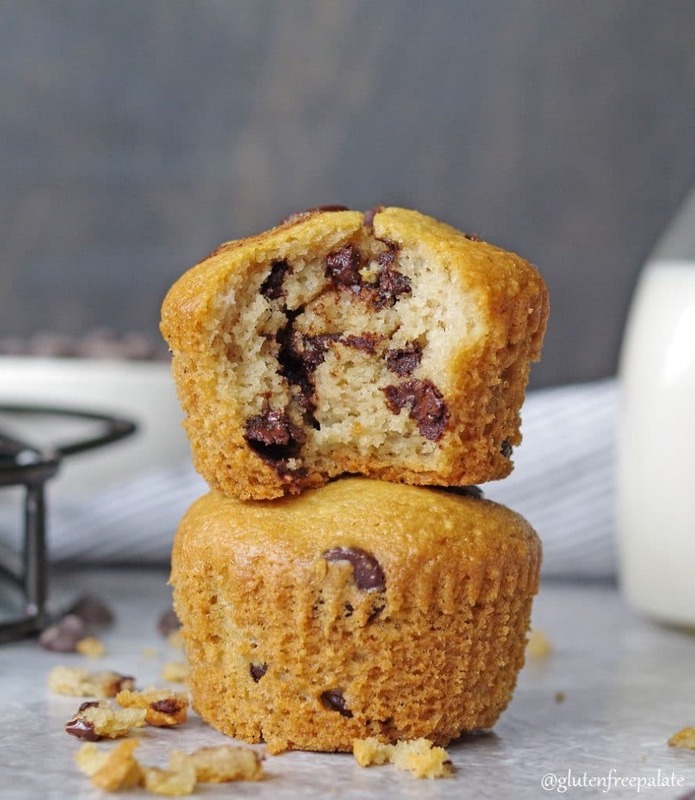 These paleo muffins are not only bursting with Madagascar vanilla, they’re also full of healthy fats and proteins, making them an ideal paleo chocolate chip muffin for those who are looking to enjoy healthy foods. What can I use instead of Honey in paleo muffins? You can use maple syrup, agave or a sugar free syrup in this recipe in place of the maple syrup. Just note that the flavor will be different. Maple syrup tends to be mild in flavor while still adding a touch of sweetness. These are essentially almond flour muffins. One thing to note about using almond flour is that it is NOT a 1-to-1 for gluten-free flour. 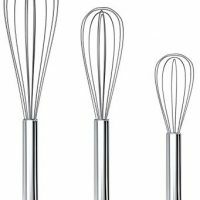 It has a lot more protien and fat, and less starch, so it reacts differently in recipes. It’s best stored in the refrigerator or freezer if you’re not going to use it up in a week or two. Always bring Almond meal or flour to room temperature before baking almond flour muffins with it. 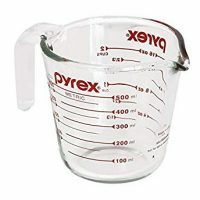 If you use it cold, it’ll absorb more of the liquid and your batter will be thicker than it should be. And remember, because it’s made from almonds, it can go rancid, so keep track of when you opened the bag. I haven’t tried using an egg replacer in this paleo muffin recipe because of the amount of eggs that it calls for. I have had others comment on similar recipes that chia egg and flax egg worked well, but the almond flour muffins didn’t rise as much. 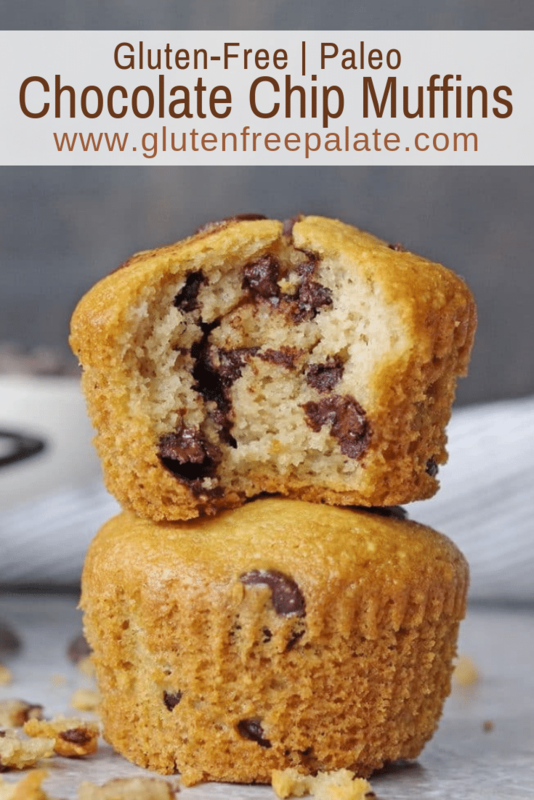 When I made these Paleo Chocolate Chip Muffins last week (test batch), my girls said they were their new favorite paleo muffin and that they wanted me to make them every week. Although they are tasty, I’m also working on a banana walnut version that I hope to have up in the next couple of weeks. If you enjoy grain-free recipes and paleo muffins you might also like my Grain-Free Banana Everything Bars, or my Chocolate Thumbprint Cookies. And don’t forget about the Gluten-Free Double Chocolate Muffins I mentioned above, they are a paleo muffin as well. Looking for more breakfast treats that are healthy? Food Fanatic has a scrumptious Paleo Pumpkin Waffle, and Texan Erin has a lovely recipe for Paleo Apple Muffins. Looking to keep this completely sugar-free? These Sugar-Free Chocolate Chips are simple to make. These scrumptious Paleo Chocolate Chip Muffins are simple to make, and ready to devour in less than thirty minutes. Add coconut oil, honey, eggs, and vanilla extract and mix until well combined. Bake for 18-20 minutes or until the center is set. 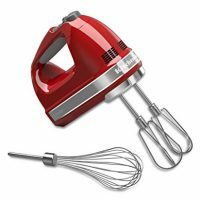 Do you have other gluten free recipes?